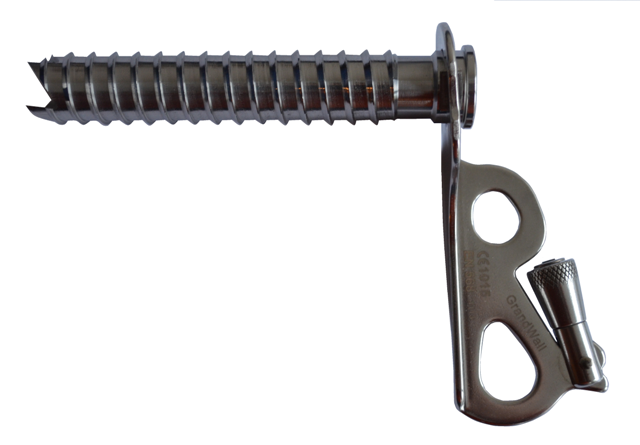 Available in 12cm, 17cm, and 22cm lengths, the JoffreLake Ice Screws are made of chromoly steel with stainless steel hangers that are very light, won't rust, and reduce melt-out on sunny routes. Fast and easy to place, the JoffreLake Ice Screws bite into ice for quick and easy placements. JoffreLake Ice Screws feature a large crank knob that it is easy to grab with 360° motion for fast and easy placements.